Hourglass Fat Burner – works by getting rid of excess body fat and suppressing appetite. Why You Might Buy It: Contains some very good ingredients, well researched formula with the correct quantities. Hourglass Fat Burner is produced by Propura Ltd and the company alleges the product is an intelligent fat burner for women. We’re not sure what that means, but have to admit to being impressed by the fact the pills are packaged in a bottle that appears to have a waist. No doubt, this is meant to signify the hourglass figure most women would like to attain. Glucomannan (1500mg): Countless studies show the water-soluble fiber provided by glucomannan can deliver a powerful appetite suppressing effect. The results of some studies, including one conducted at the University of Connecticut, show glucomannan is good for lowering cholesterol as well. Green Tea Extract (500mg): Probably the most popular diet pill ingredient on the planet, green tea provides a unique mix of catechin polyphenols and caffeine that has been shown to increase calorie burning and fat oxidation for up to 24 hours. Capsimax (100mg): A respected capsicum extract. Research shows capsicum has thermogenic fat burning capabilities, but the capsicum benefits don’t end there because scientists have also proven this versatile fruit extract suppresses the appetite too. Guarana (100mg): A tropical berry extract. Guarana is primarily used for boosting energy and mental focus. It can do this because it contains caffeine. However, most guarana extracts are only 3-5% caffeine, so the amount provided here is likely to be less than 5mg. A cup of coffee normally contains around 100mg of caffeine and would be capable of providing a more powerful kick. Bioperine (5mg): A branded black pepper extract that is added to supplements of all kinds because it improves the bioavailability of other ingredients. Chromium Picolinate (125mcg): Chromium prevents the post-eating sugar spikes and subsequent insulin peaks that cause the blood sugar crashes that trigger cravings for high calorie food. Vitamin B6 (4mg), Vitamin B12 (10mcg): Both these vitamins help the body extract energy from food and their prowess at doing this has allowed them to become key energy drink ingredients. Vitamin D3 (1000IU): Although Vitamin D does not directly support weight loss, people who are Vitamin D deficient are more prone to weight gain. How to Use – The correct dose is one capsule, three times each day, and the best time to take the capsules is with a main meal. The lack of customer review means there is no feedback about any side effects past customers may have experienced, but none of the ingredients have a reputation for causing side effects. However, the formulation is unlikely to be suitable for pregnant or nursing mothers. People who have existing health conditions, or are using medication, would do well to consult a qualified healthcare practitioner before using Hourglass or any other brand of dietary supplement. You cannot buy Hourglass in the shops or from online supplement stores. It’s exclusive to the manufacturers website. The good news is, Hourglass is a little cheaper than many competing brands. The bad news is, additional charges are made for shipping. 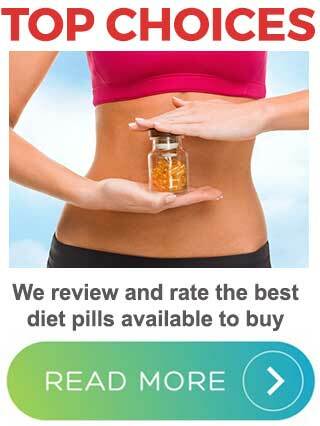 So, although the price is fair, Hourglass is not really the diet pill bargain it appears to be. 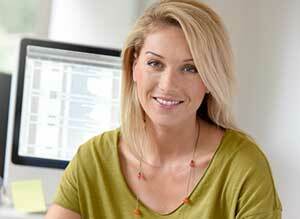 Hourglass has a 90-day money back guarantee, but it’s not as good as the website makes it look. All but one of the website pages state customers who are not happy with the product can return it for a “fast 100% product refund”. The website terms and conditions page carries more weight, and it states the guarantee is only valid for customers who place a first order for three bottles or more. It also states customers will need to prove they used the capsules in the way instructed for 90 consecutive days. And here’s the kicker: the refund will not be 100% at all because Propura charge a processing fee that works out about the same as the cost of a bottle of pills. 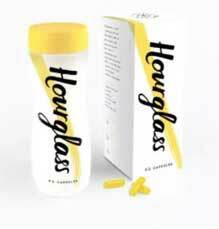 We’re still baffled by the “intelligent fat burner” statement, but Hourglass contains a pretty smart combination of ingredients that should help control hunger pangs. Presuming sufficient efforts are made with diet and exercise, the formulation should speed up fat burning as well, but women who need a product capable of delivering an energy boost are likely to be disappointed. The guarana inclusion rate is too low to cut the mustard and, although the B Vitamins will provide some extra energy, they should not be expected to go it alone. However, although the formulation should assist weight loss, the lack of customer feedback makes it impossible to learn how well it works in practice. This is a big issue because the terms and conditions attached to the money back guarantee provide the manufacturer with plenty of leeway should they wish to wriggle out of providing a refund. We also think it is unfair to expect first-time customers to make a multi-bottle purchase to become entitled to a guarantee. The fact that most customers will never read the terms and conditions, and realize the guarantee has strings attached, also dampens our faith. Propura don’t appear to be playing fair. The top diet pills for women usually only have a 60-day guarantee, but at least it’s a guarantee you can trust.